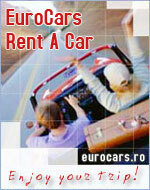 Rent A Car Doctor on req. ���Situated in the heart of Bucharest, close to the commercial and cultural zone, El Greco Hotel, founded in 1896 and recently redecorated and arranged, assures its clients an incursion in the world of smart and good taste. All the 14 rooms and 2 suites are modern equipped, with minibars, wireless phone, air conditioning system, satellite TV sets, free Internet network. A conference room of 20 places and another one of 50 places are at your entire disposal, having full equipment necessary for successful meetings. During the summer we are expecting you to take your coffee or to have a delicious lunch in the restaurant terrace of the hotel, arranged as an oasis, precisely in the center of hectic Bucharest. ��In Rodon Restaurant of Greek and International specific, so many specialities prepared by the Greek Chefs with carefully selected ingredients, will satisfy the taste of all its clients.